I can’t believe it’s almost been two weeks now since I moved up to London! It was only a month ago that I actually decided to make the move up here and start my new adventure. Luckily, everything managed to fall into place surprisingly quickly – and within just two weeks of organising and planning what I was going to do, I had moved from one side of the country to the other. For as long as I can remember, there have only been two places I’ve really dreamed of living in; London and Los Angeles. For some reason, my heart has always been drawn to these two places, and I am so unbelievably happy that I am now able to call one of them my home. Moving to London is a complete and utter dream come true for me. I honestly couldn’t be happier right now! 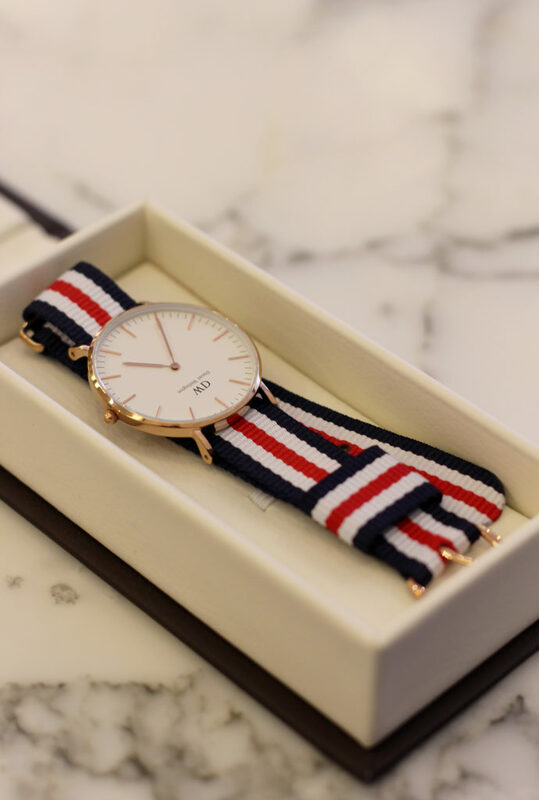 When I made my move up, I was very kindly given a beautiful watch as a present from my friends at Daniel Wellington. I received their Classic Canterbury 36mm watch. It was the perfect moving in gift! I absolutely love it, it’s such a stunning piece. I haven’t stopped wearing it since it arrived! They sell so many amazing watches, and I’m so happy now that I own one my self! 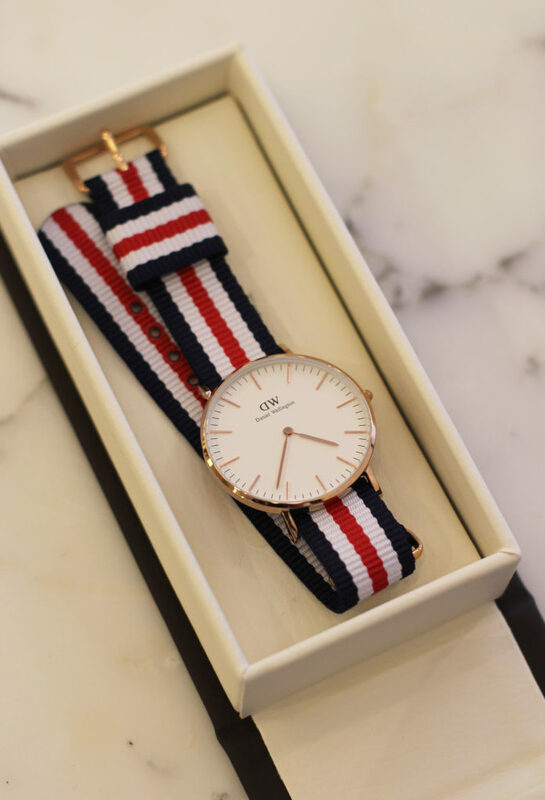 You can find their whole collection on their website here, or across their social media – @danielwellington or #danielwellington. I’ve had so much fun in London since moving in; exploring new places, catching up with old friends and making new ones. I have felt so much joy in every moment here, and experienced so many amazing, exciting things. I couldn’t be more grateful for my experience so far. I’ll be turning 20 next week on May 21st, and I still can’t believe I’ll be celebrating it here, living in London! It’s so incredible. I absolutely love birthdays, and I love to celebrate them for as long as possible. I remember once being told that it’s important to celebrate your entire birthday month, as it is such a special, personal time for yourself. So, I really like to have as much fun as possible throughout May. As an early birthday treat this year, I was bought a beautiful pink dress from El Ganso to begin my celebrations. I’m tending to wear a lot brighter, bolder colours at the moment, and as soon as I saw this dress I just knew I had to have it! I fell in love with it instantly. Here are some shots of my beautiful new watch and dress below! So, for this post I just really wanted to share an update with you about what’s been going on, and what I’ve been doing lately. I know haven’t been as active with my blog recently, as I’ve been so busy with my move! But I’m getting back into my routine now, and continuing to share my new journey with you! I hope you’re all well, and I can’t wait to see where everything’s going now! I hope you enjoyed the post :). I wish you all the best with this new step in your life 🙂 Happy May! Yay for your move! So glad for you, Harriet! You sound so happy – I wish you continued happiness and success in London. By the way, your watch is gorgeous and so is that dress – and you are stunningly gorgeous in them! P.S. I totally thought that box was an ice cream sandwich when I first saw it, hahaha. I think I’m just really hungry. Off to find food! Yay for new adventures and moving to London! Such an exciting time for you!! And happy early birthday too 🙂 Love the color of that dress! So bright and happy! It’s a very nice fashionable quality watch indeed though personally i choose not to wear my cheap army style watch because i prefer not to be slave to meaningless time besides there are enough clocks and reminders of time around without having to have my wrist chained up to it.